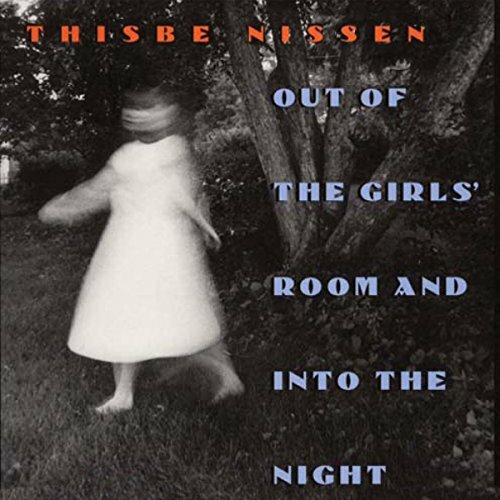 Out of the Girls' Room and into the Night is a spirited, offbeat collection of stories, elongated riffs on that thing we call...love. All manner of love stories: thwarted love stories, imaginary love stories, love stories offhand and obsessive, philosophical love stories, erudite and amusing love stories. "People don't meet because they both like Burmese food," says one character, "or because someone's sister has a friend who's single and new in town, or because Billy's nose happened to crook just slightly to the left at an angle that made me want to weep...People don't fall in love with each other...they just fall into love." Everyone does it: women of fierce independence, men of thin character, rambling Deadheads, gay teenage girls, despondent Peace Corps volunteers, anorexic Broadway theatre dancers, the eager, the grieving, the uncommunicative. Even the confused do it. And they don't just fall in love with each other - they fall in love with certain moments and familiar places, with things as ephemeral as gestures and as evanescent as sunlight. Quirky, real, idealistic, deluded, bohemian, and true, these are people who can - and often do - fall in love with a pair of ears, August afternoons, saucers of vitamins, New Age carpenters, and dead bumblebees. And if there's something they can teach us, it's how to conceive of alternative worlds and the terror and the exhilaration of venturing outside the confines of the lives we know and making our way into a dark, glittering unknown. Winner of Iowa Short Fiction Award. This is a series of short stories about young women, mostly living in, but not originally from, New York. Some are still in highschool. They each have, in the course of a short story an experience or are part of an event that will change their lives. The last story, the title story, is indicative. It involves a girl who had a crush on her teacher from eighth grade through highschool, but she just flirted with and did not sleep with him. But as she’s getting ready to go to college, he suddenly stalks her, always showing up wherever she is, trying to get her not to go to college away from home, in other words behaving in a rather creepy fashion. These are all extremely well written stories, and Miller does an excellent job with each of them. This book was published in 2000. It would be interesting to know what if anything the author has written since that time.